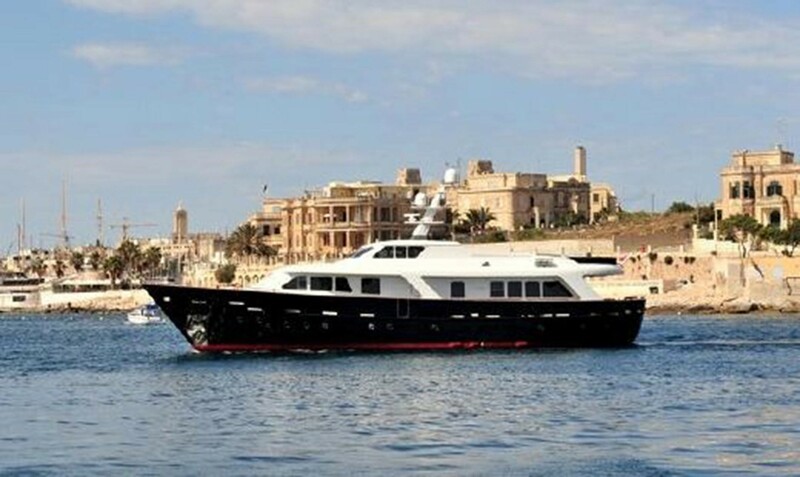 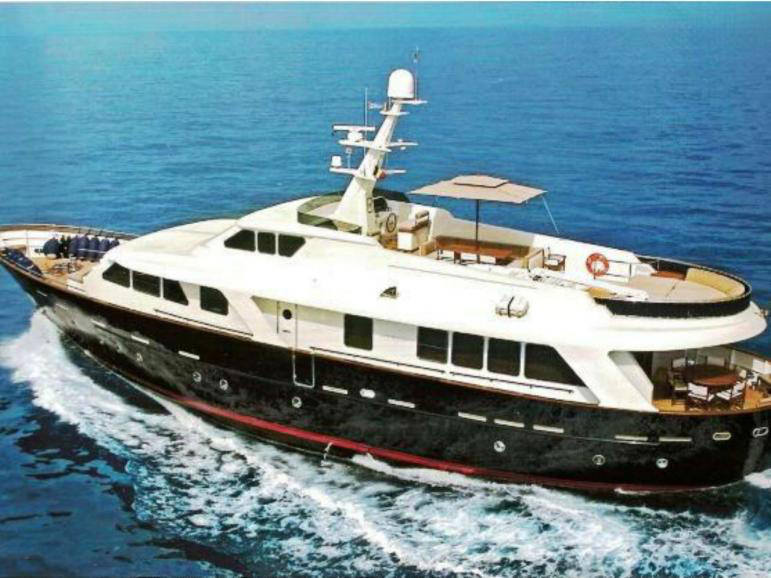 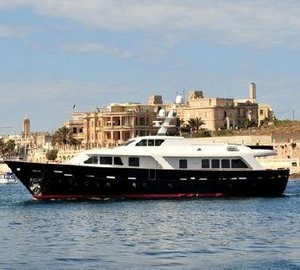 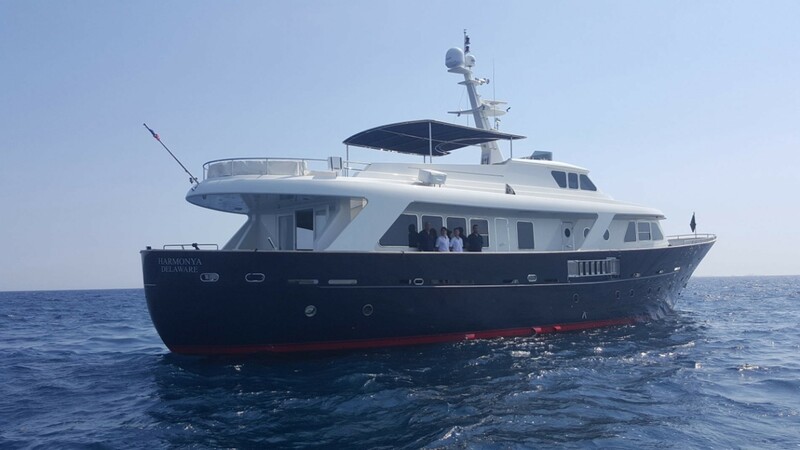 Built in 2005 by the renowned Benetti shipyard, 28,6m (93.10ft) motor yacht HARMONYA (Ex Pajarita) was refitted in 2010. 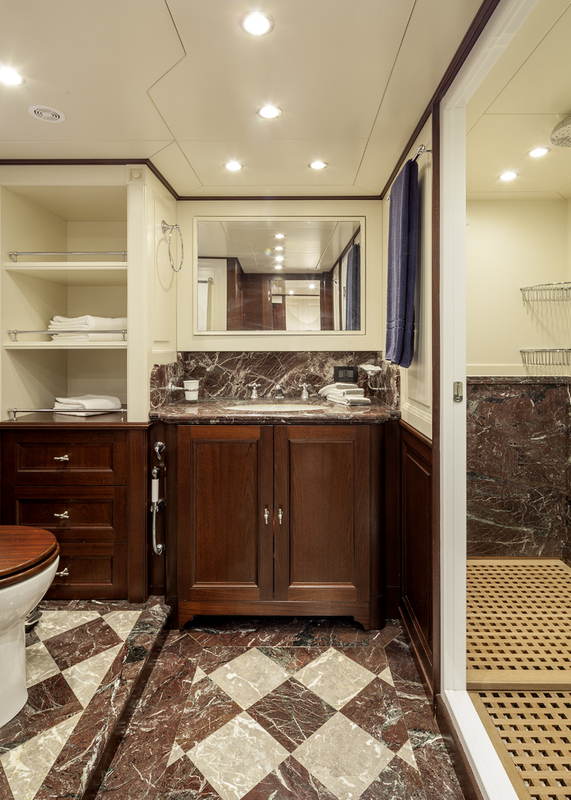 She features naval architecture by Riccardo Paoli and offers accommodation in 4 cabins, for up to 10 charter guests. 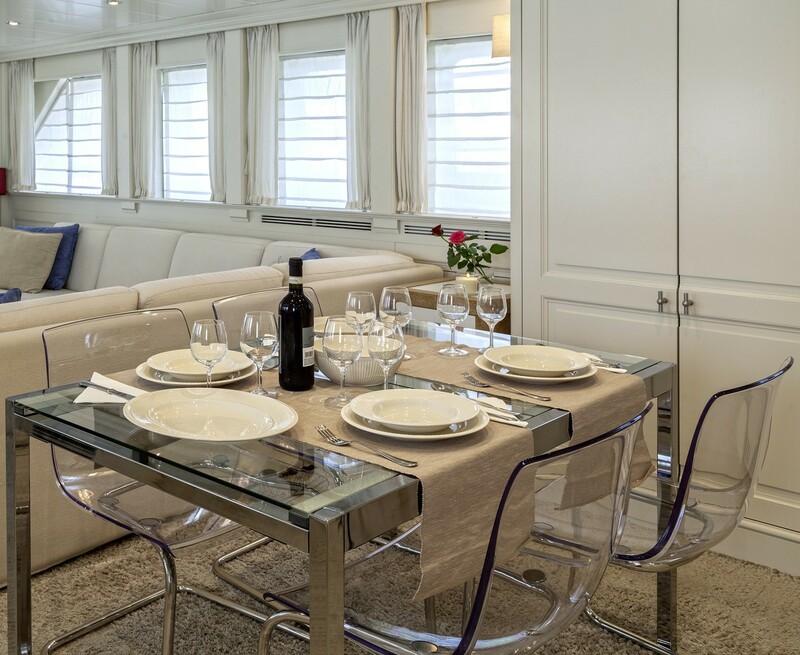 The interiors are light and airy with a contemporary timeless ambiance. 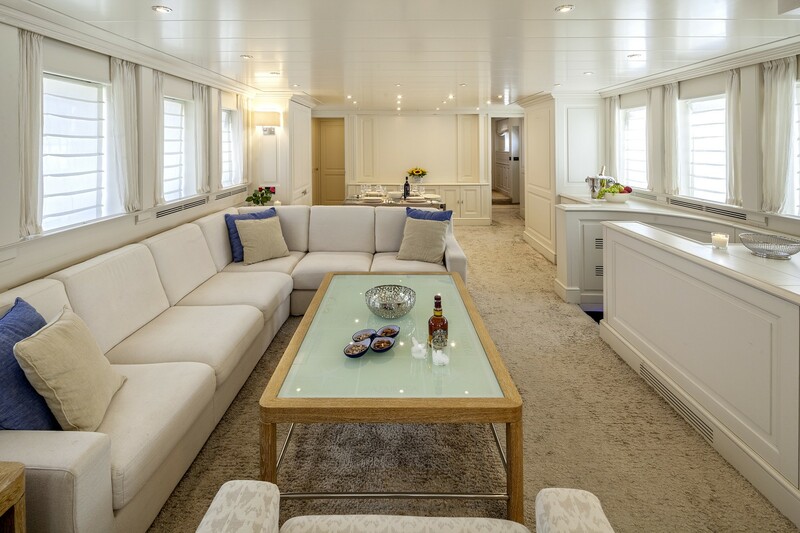 Her main salon offers a generous lounge with large sofa, occasional chair, coffee table and entertainment. The salon is laid to an open plan and has the formal dining table forward, ideal for entertaining. With panoramic windows surrounding, she receives ample natural light and boasts good views out. 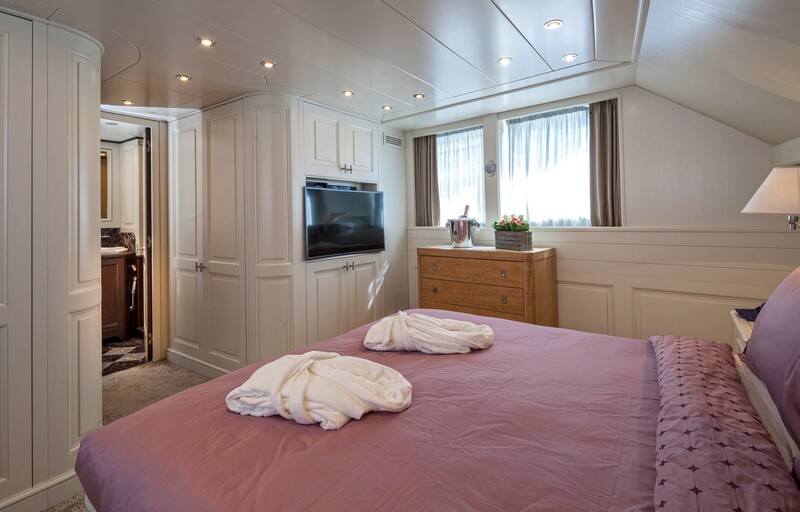 On the main deck forward is the full beam VIP cabin, while on the lower deck is the full beam master stateroom and 2 twin cabins, each offering private ensuite facilities. 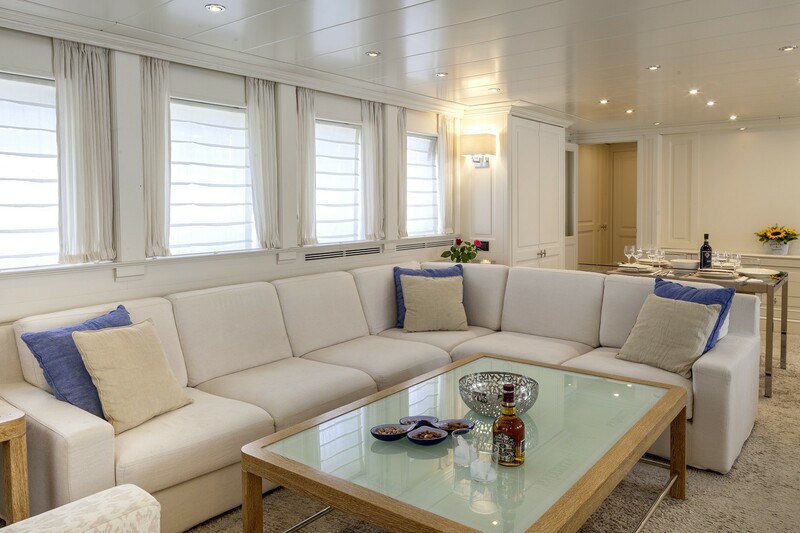 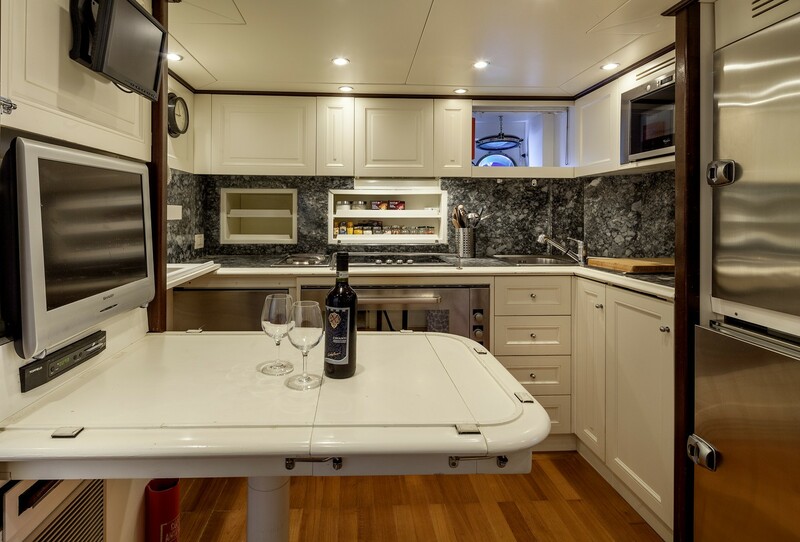 Exterior living offers plenty of options for guests to enjoy aboard HARMONYA. 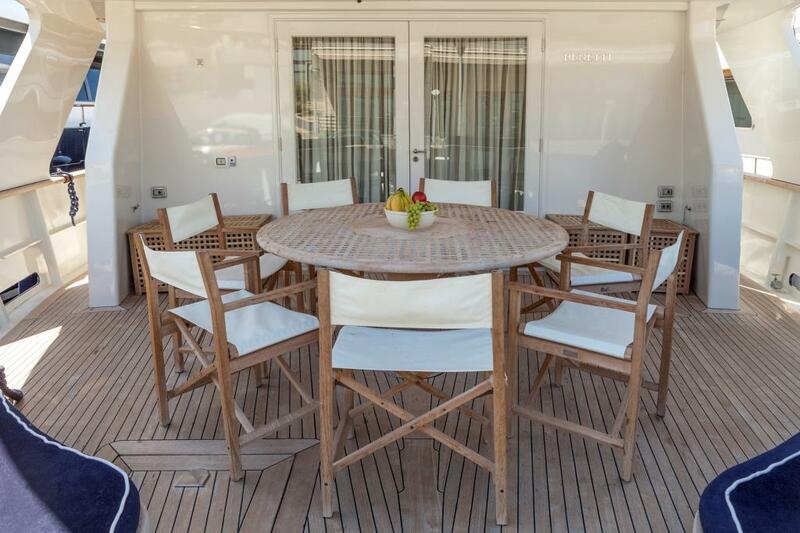 The aft deck is adjacent to the salon and has shade, seating and an alfresco dining table. 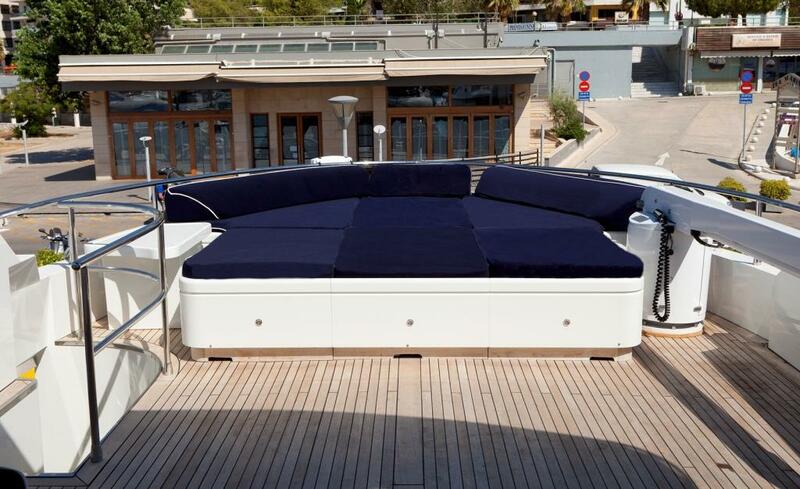 Her side decks wrap around her and lead to the foredeck and a well-appointed sunning area. 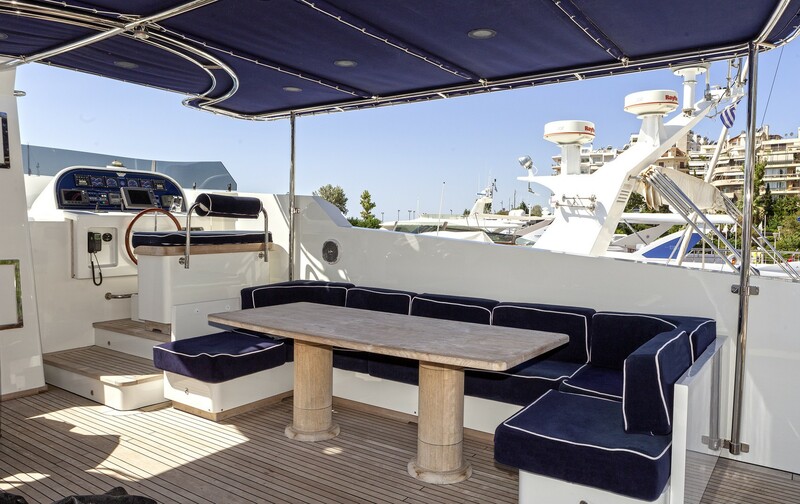 On the sundeck, she offers a further alfresco dining table, seating, sunpads and partial shade. 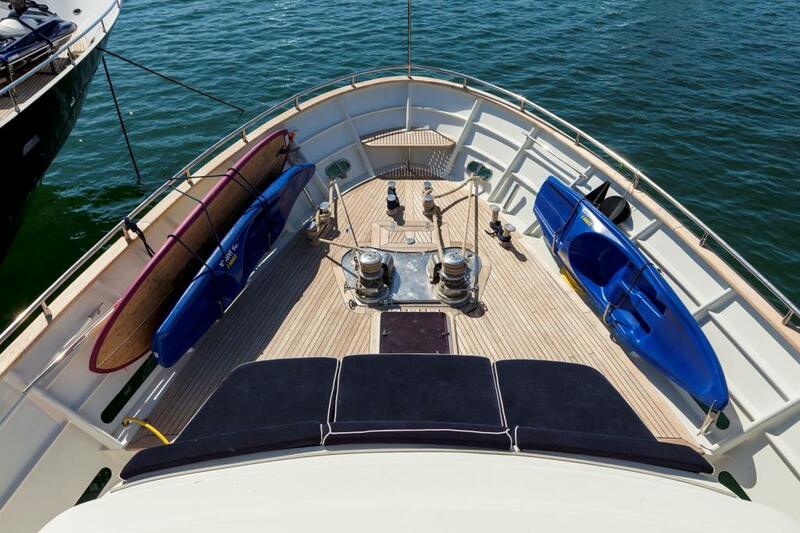 The yacht is powered by 2 CAT 650hp engines, with cruising speeds of 11 knots and top speeds of 13 knots. 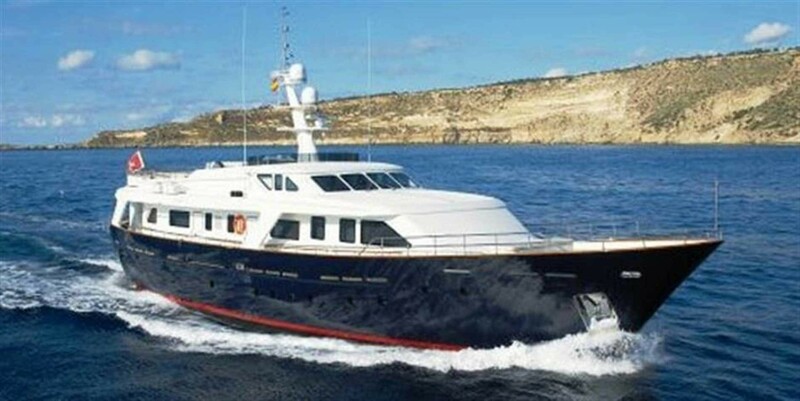 She is fitted with both an anchor and underway stabilizers. 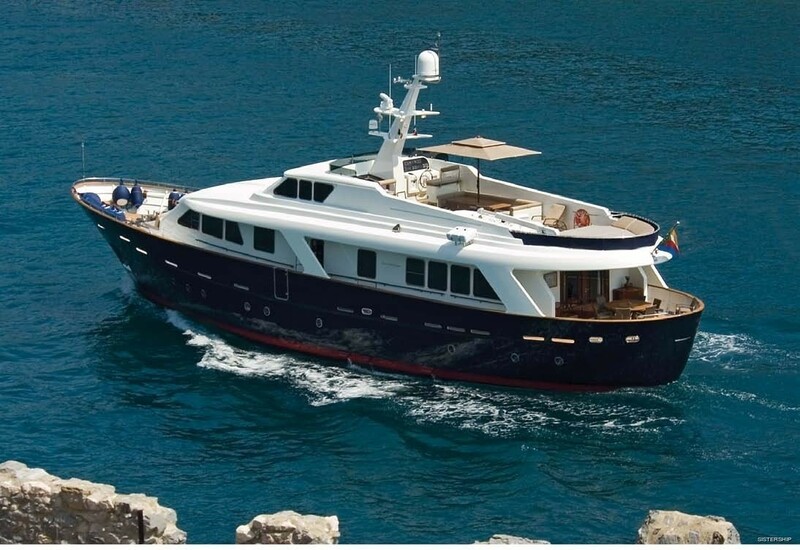 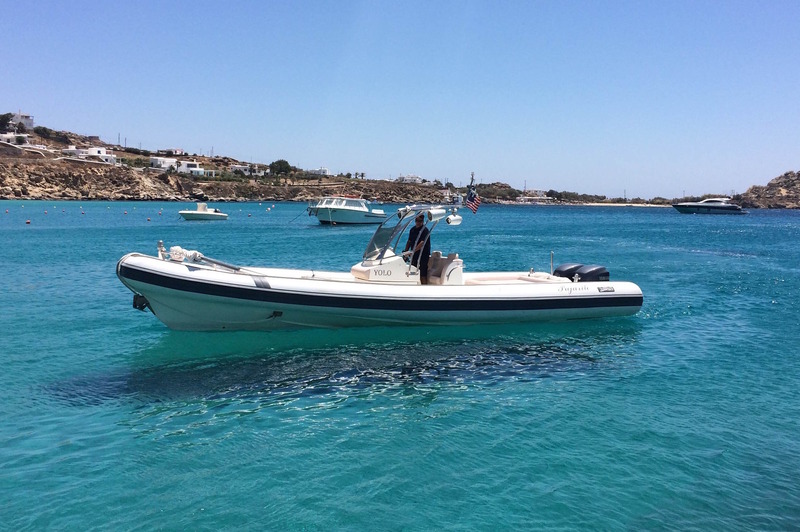 HARMONYA’s steel displacement hull is a classical design, with a beautiful rounded stern. 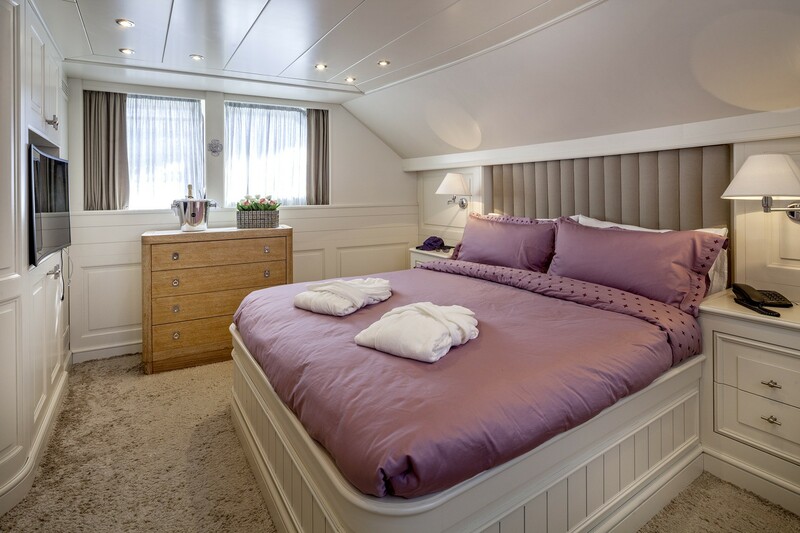 Accommodation is in 4 cabins, for up to 10 charter guests. 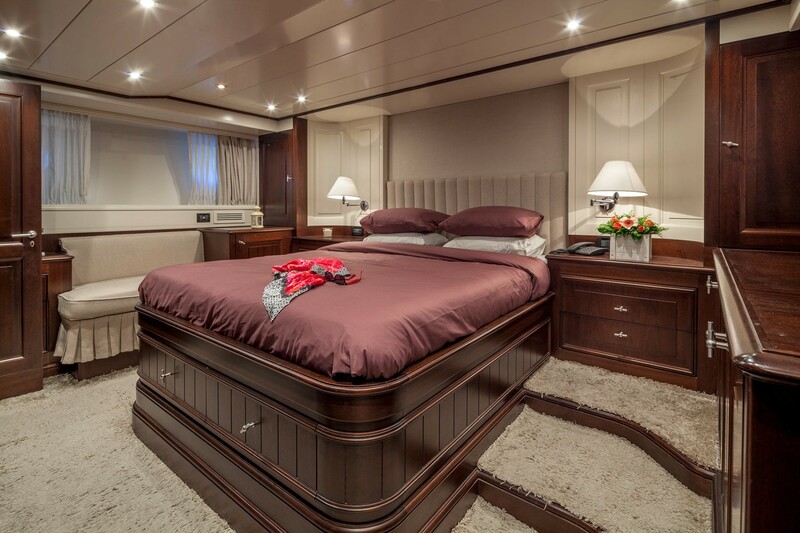 The master stateroom is on the lower deck aft and full beam of the yacht, with a private entrance and queen size center lined bed. 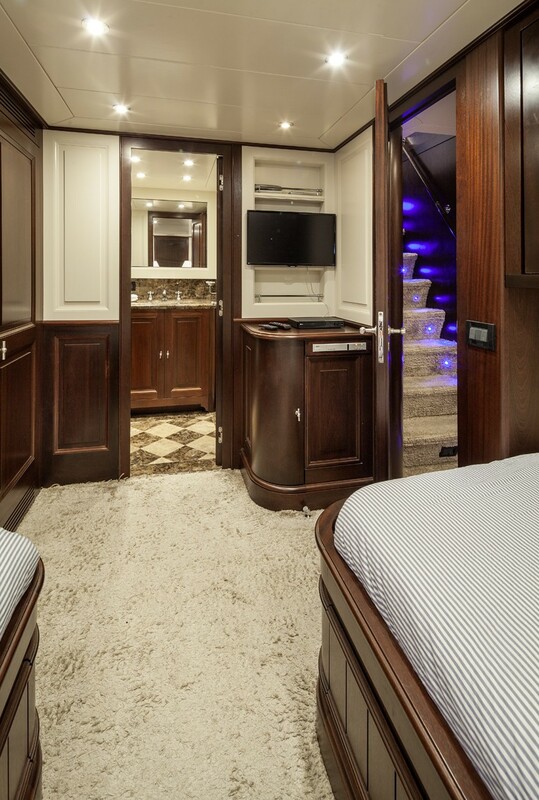 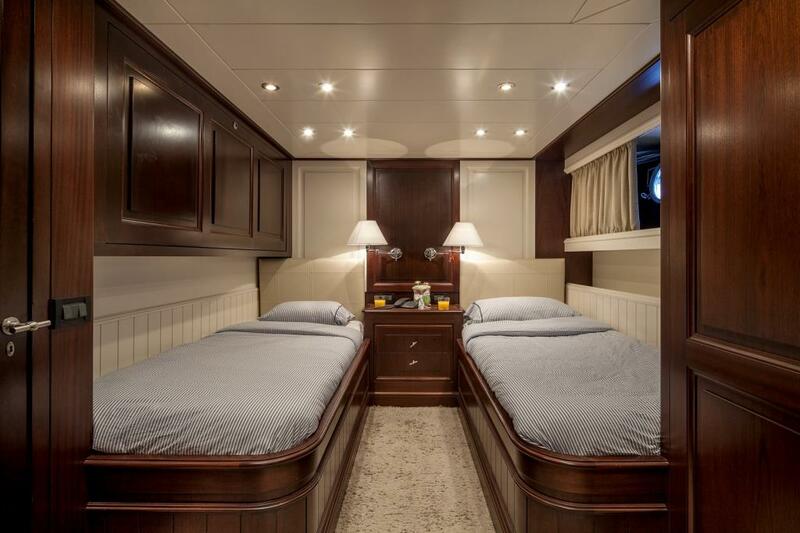 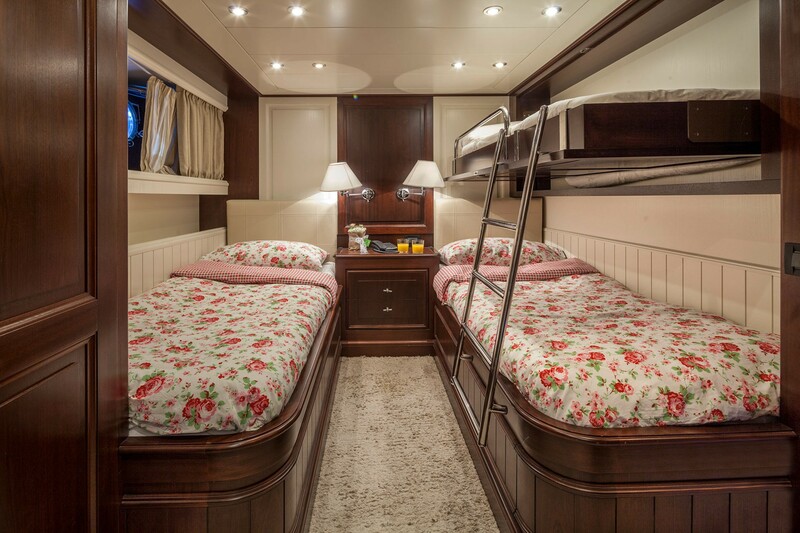 On the upper deck forward and full beam of the yacht, is the VIP cabin, with a center lined double bed. 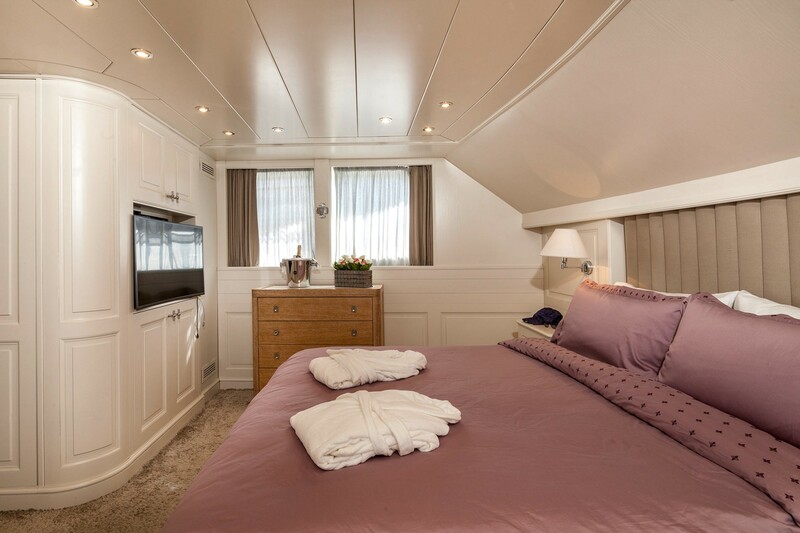 Two guest cabins on the lower deck, offer side by side twin beds and a Pullman berth each. 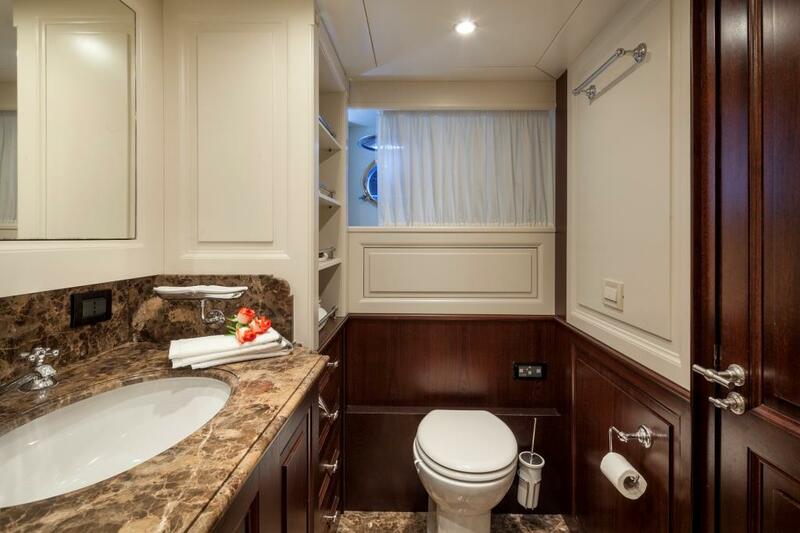 All cabins are ensuite.